When Illinois became a state in 1818, it had a population of 34,620 people. Now nearly 12.9 million people live and work there, making Illinois the fifth most populous state in the country. The ins and outs of payroll tax law vary widely by state, so filing and paying payroll taxes in a timely manner can be a challenge, especially in such a large state. The following payroll tax overview should help give companies a better sense of the specific requirements in Illinois, assist them in filing taxes accurately, and help payroll tax managers working in Illinois mitigate penalties associated with tax filings. The Illinois Department of Revenue (DOR) is responsible for collecting withholding taxes on behalf of the treasurer of state. State law requires withholding of income tax from salaries and wages of all residents and for some non-residents. The DOR offers a web portal called MyTaxIllinois, where employers can obtain a tax account number. In most cases, an account number is provided within one to three days if the employer registered online. However, if an employer chooses to mail a paper registration form, the process could take as many as six to eight weeks. NOTE: MasterTax does not support or provide instruction or documents needed to complete the initial registration process of any jurisdiction. All forms and instruction will need to be obtained through appropriate website. There are several tax payment methods available, including check, credit card, ACH credit and ACH debit. MasterTax includes the registration instructions and required forms which can be printed, pre-filled, with all necessary information for both ACH debit and ACH credit methods. The DOR prefers all employers to file and pay using ACH debit, but taxpayers assigned to a semi-weekly schedule must make all payments electronically. There are several methods of tax payment methods available, including check, credit card, ACH credit and ACH debit. The DOR prefers all employers to file and pay using ACH debit, but taxpayers assigned to a semi-weekly schedule must make all payments electronically. There are four deposit schedules for withholding taxes: semiweekly for quarterly returns, monthly for quarterly returns, monthly for annual returns and annual for annual returns. Each schedule has a different due date based on an annual review of the amount of Illinois withholding tax that the employer reported during the prior 12-month period. Employers will be required to begin reporting under the new frequency beginning January 1 of the new calendar year. 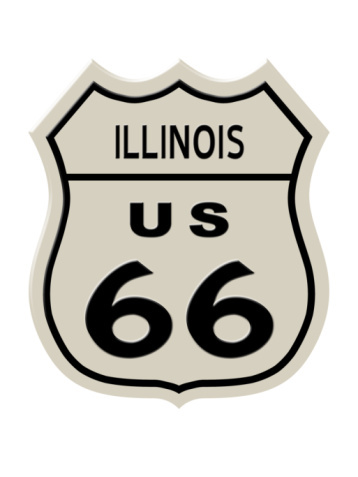 Illinois has a few quirks in its withholding tax law. For example, the DOR requires employers to electronically file a return, even if no tax is withheld. For withholding tax returns paid late, the penalty and interest payment is 0.5 percent of the unpaid tax shown on the return per month (maximum of 25 percent). The penalty for failure to file a return on time is 1 percent of the balance due per month (maximum of 25 percent). Employers may receive credits, and refunds should not be requested unless the employer is unable to absorb the credit or is going out of business. Unemployment insurance taxes are collected by the Illinois Department of Employment Security (IDES). Every new business must register for an account online, by mail or by fax within 30 days from start of business, even though it may not be liable for payment. Businesses that register online via Illinois TaxNet will receive their account and PIN numbers within two business days. Paid $20,000 in cash wages in one calendar quarter or employed 10 or more workers for 20 weeks in a given calendar year for farm work. Quarterly wage reporting and contributions are assigned by IDES in the December prior to the effective year of the new rate. Employers must file and pay contributions quarterly to avoid interest and penalties. Payments can be made by check, credit or electronic funds transfer (EFT) via Illinois TaxNet. Penalties for late filing of a quarterly contribution and wage report can range from a minimum of $50 to a maximum of $5,000 based on the total wages of the business and the number of months that payment is late. Unpaid balances accrue interest at the rate of 2 percent per month. In some cases, the IDES director may waive payment of penalties and interest. Employers must apply for a waiver within 30 days of the date the IDES mails a delinquent notification, showing good cause for the late filing and paying the full amount of past-due contributions. An employer may file a claim for a refund for up to three years after the date upon which any contribution, interest or penalties were paid in error.